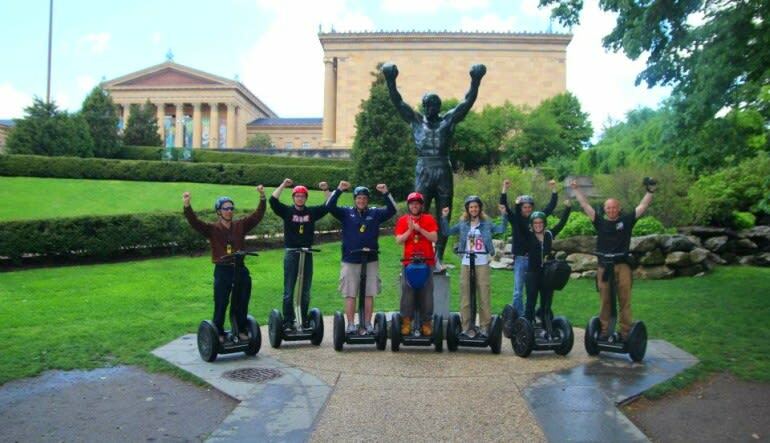 A wise man once proclaimed to his sweetheart “I always knew you was pretty.” And on this Philadelphia Segway tour, you’re likely to express Balboa’s oft-quoted term of endearment. But Philadelphia boasts more than just iconic movie locales (though, you’re likely to traverse a few). The cradle of American democracy is rich in history, art and culture with surprises at every turn! Get started with a brief Segway instruction. 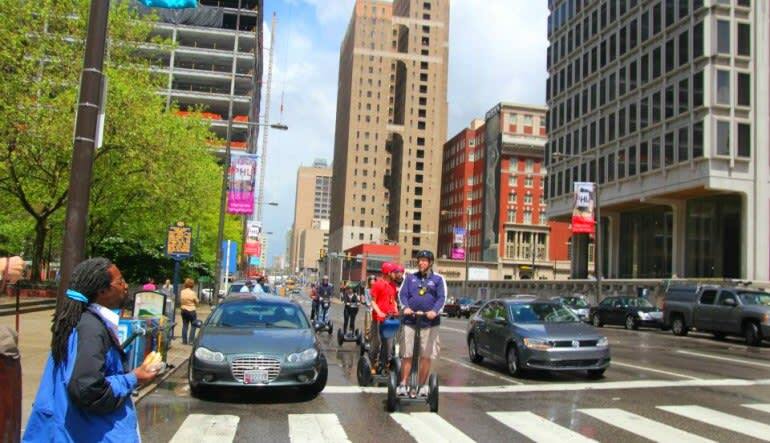 Take off on a two-hour Segway tour through Philadelphia. 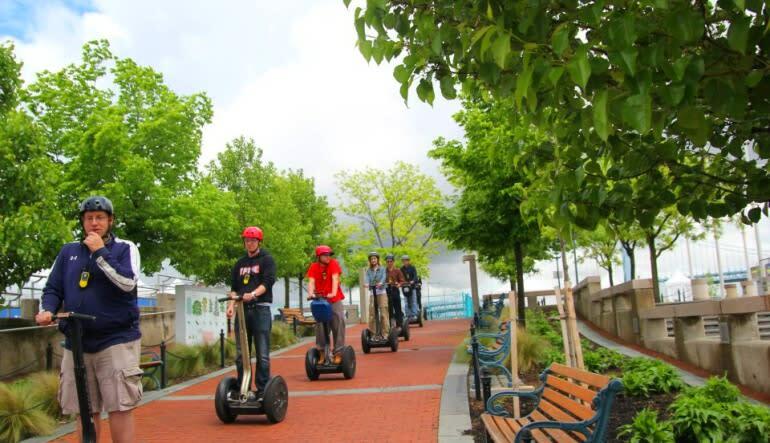 Travel in a group of up to eight, starting off at Penn’s Landing. Get fantastic views of New Jersey and the Benjamin Franklin Bridge. Continue to the Historic District and ride past the famed Betsy Ross House. See Franklin’s grave, Independence Hall and head into Society Hill. 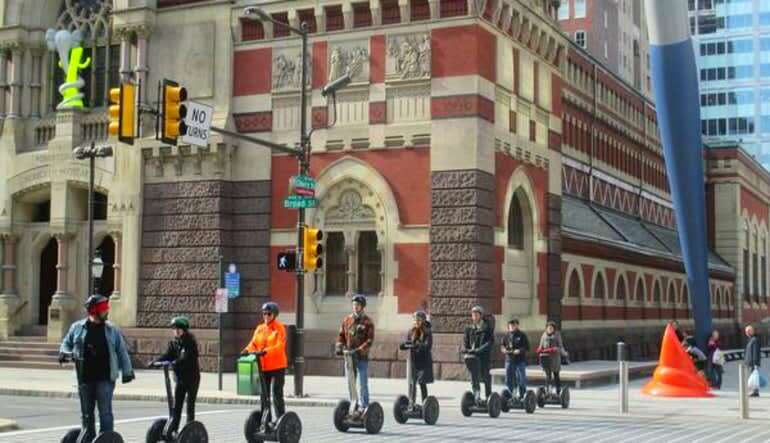 Segway to Rittenhouse Square via the Avenue of Arts. Join the busy bodies of the Schuylkill Banks as you make your way to the Philadelphia Museum of Art. Cruise through charming back streets toward the Pennsylvania Academy of the Fine Arts. Finally, cut through Chinatown on the way back. Along the way, you’ll get your photo snapped by all the famous landmarks and learn a number of surprising facts about the City of Brotherly Love. 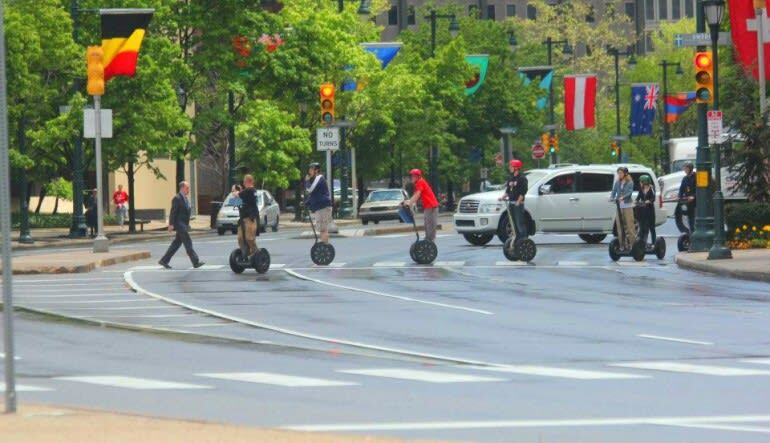 Segway Philadelphia today!